This report on the KCDC website downloadable here was commissioned by the council sometime last year and was presented at the November 2017 Waikanae Community Board meeting when the above pic was taken. 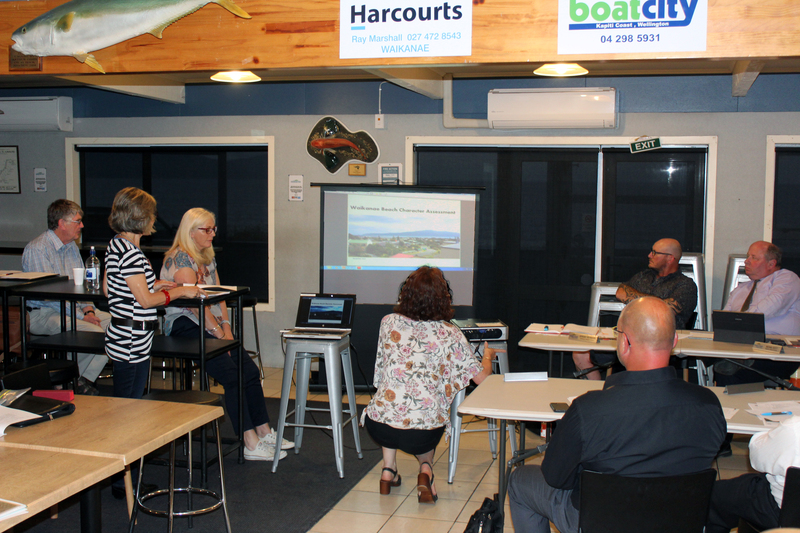 The concern of the local Waikanae Beach Residents Society (Facebook page here) is to protect the beach area from ‘progress’ and this report contains some recommendations for changes to District Plan rules — although Quentin Poole of the Society at the meeting didn’t think they are strict enough. None of this applies to the massive Maypole company development; and we think there is also likely to be development between Waikanae Beach and Peka Peka Beach in the not-too-distant future — either piecemeal or by a developer. This likewise is outside the area the report looks at.